In a Nutshell: Highly skilled workers who have multiple employment offers typically look at monetary compensation and benefits options as the deciding factors in choosing which company to work for. For years, large enterprises held an edge over small businesses without the budgets to offer all-encompassing benefits packages. That trend is changing as small businesses, which now account for more than half of America’s workforce, are aligning themselves with companies like Gusto, an all-in-one platform for payroll, benefits, and HR. Already a leader in its sector, Gusto partnered with Gradvisior to add tax-advantaged 529 college savings plans to its list of benefits. The plans sync automatically with payroll and allow employees to enroll in a plan in a matter of minutes. Not so long ago, people would join a company shortly after college and stay with the same employer for their entire career. After 30 years of service, the employee would head off into retirement with a gold watch or other trinket to commemorate their service. Those days are no more. Technological innovations make it easier for people to work from any location on the globe. More and more workers decide to freelance their talent instead of dedicating their efforts to one employer. The rise of small- and medium-sized businesses, with relaxed atmospheres and favorable operating methods, has prompted larger firms to compete to attract and retain top talent. Top enterprises once counted on their larger budgets to offer better employee benefits, but Gusto’s HR and benefits solutions for SMBs blurs the lines that once separated the Davids from the Goliaths. For as little as $45 per month, Gusto offers businesses a platform for payroll, benefits, and HR that ranks among the best in its class. Recently, Gusto partnered with Gradvisor to enable employers to offer 529 tax-advantaged college savings plans for workers who want to save for a child’s future education expenses. Not only has the adoption of the program exceeded Gusto’s expectations, but the company has heard raves on its ease of signup and use. And when those employees speak, their employers listen. Small businesses are no longer treated as their name suggests. The number of Americans employed by small companies has grown in the last decade and is expected to continue its trajectory for the foreseeable future. The demand for tax-advantaged college savings plans has increased over the last decade as education costs have experienced a 5% average annual increase in that time. As parents plan for further increases in costs, they often turn to 529 plans — which Gusto says have allowed parents to save 76% more money when compared with traditional savings. Benefits packages are only valuable if employees want the offerings and if enrollment is easy. Gusto manages to accomplish both tasks with consumer-driven benefits options optimized to meet the needs and desires of employees. Gusto’s 529 Plan option features automatic deductions that sync with payroll and access to investment advice from Gradvisor experts. The interface is easy to use and allows employees to sign up in less time than it takes to compose an email. London said one in five employers offering the plans opt to match a portion of employee contributions to encourage extra savings. Gusto only charges employers $6 per month for each enrolled employee to offer the plan with a minimum $18 monthly charge. Members enrolled in 529 plans select their investments and benefit from earnings that aren’t subject to federal tax and generally aren’t subject to state tax when used to pay for qualified education expenses. Some states provide employee tax deductions or credits for 529 contributions, and some states provide employers with tax credits for matching 529 contributions. Since state tax treatment of 529 plans varies by location, users should consult their tax advisor about state and local taxes. London said adoption of the 529 plans grows each quarter and has already exceeded the company’s expectations. “The average contribution by employers and employees through Gusto is more than $4,200 per year or more than 1.4 times the average contribution that personal finance experts recommend,” he said. Gusto vetted multiple 529 plan providers before partnering with Gradvisor for its offering. Gradvisor is the only online college savings solution for employers that provides personalized advice for all participants. 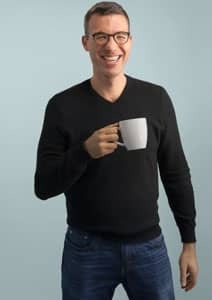 Tomer London is Co-Founder and Chief Product Officer of Gusto. “Working with Gradvisor allowed us to provide personalized, tax-advantaged savings plans and investment advice to our customers’ employees, enabling them to save for their children’s college education,” London said. Thanks to Gusto, small business owners now have the ability to offer benefits packages that attract and retain top talent. 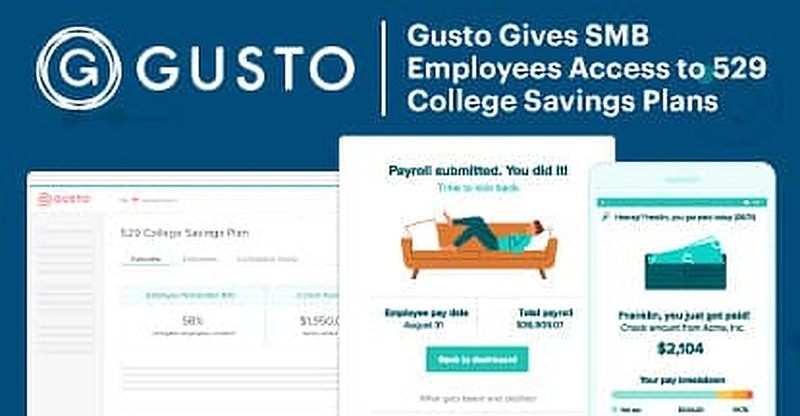 Gusto’s growth in less than six years has propelled the company to the upper echelon of HR and benefits providers to SMBs in the U.S. With the small-businesses movement only gaining steam, the company is likely to extend its reach beyond its more than 60,000 current customers.